So. Bake the Bake Off. It’s still going on, but very slowly. 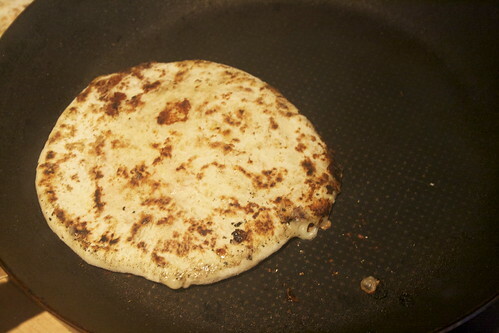 This is the second half of Week 2 Task 1 – flatbreads. 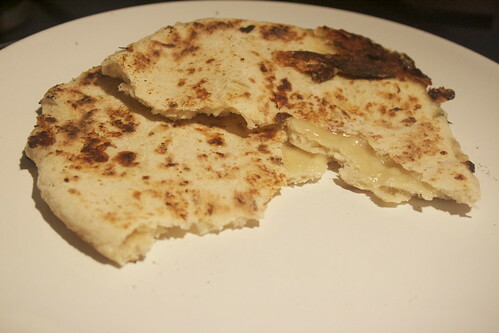 I was going to make lemon and coriander, but then I watched the Masterclass and saw Paul make camembert and quince flatbreads and…I wanted in. I messed up the flour somehow (I think my scales are a bit dodgy) and only used about 150g of flour, but had enough bread knowledge to make it work and just added water and flour until I got a good dough. Here is the original recipe I adapted it from, and following this recipe below should be fine. When I made these, I was home alone. The recipe yielded six, and I ate five in three hours. That’ll give you some idea of how good they are. Best eaten whilst they’re still warm. 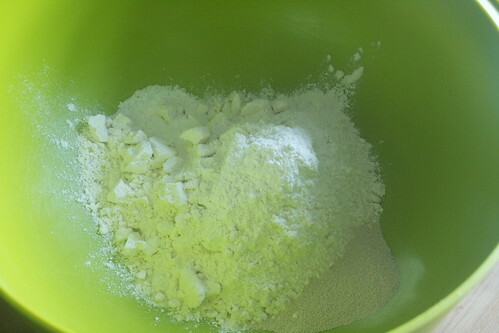 Put the bread flour in a bowl. Add the yeast on one side of the bowl and the salt on the other so the salt doesn’t kill the yeast. Then mix it all together. 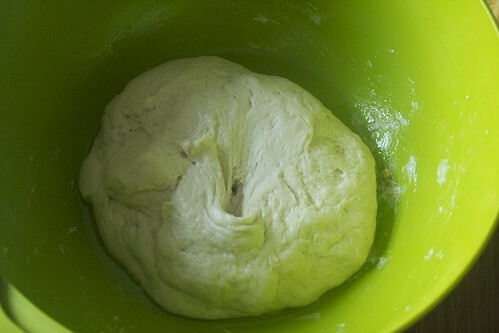 Bit by bit, add the water and work it into the flour until you have a dough — you’ll probably only need 120ml or so. Drizzle oil over your work surface and knead for 10 minutes. 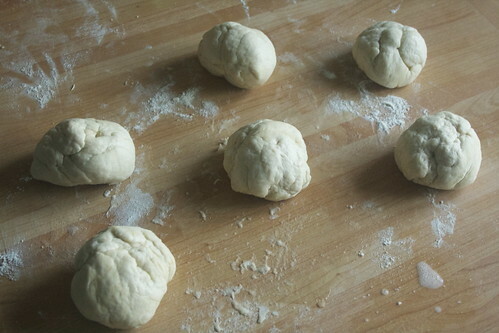 I like to knead by throwing the ball of dough onto the worksurface, stretching it out and rolling it back up again into a ball. After 10 minutes the dough will be lovely and shiny. Pop it in a bowl, cover with clingfilm and let it rise, at room temperature, for an hour. When fully risen it will be lovely and soft. 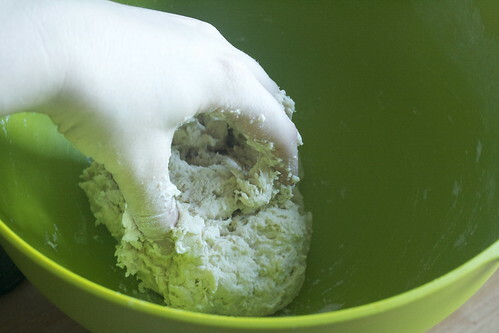 Knock the dough back and divide it in two. Then divide each half into three portions. Roll these portions into little balls. Use your fingers to flatten each ball out into a disc and cut your cheese into six equal portions. 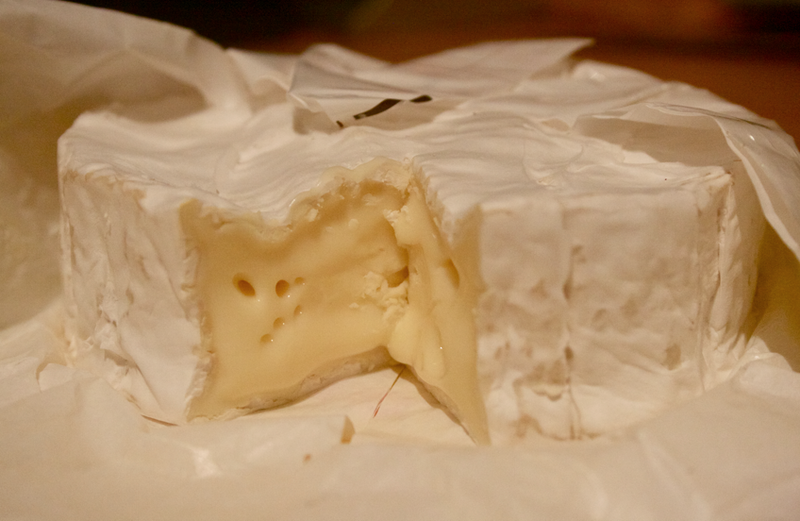 Do we need a beauty shot of the cheese? Yes. Yes we do. Anyway. 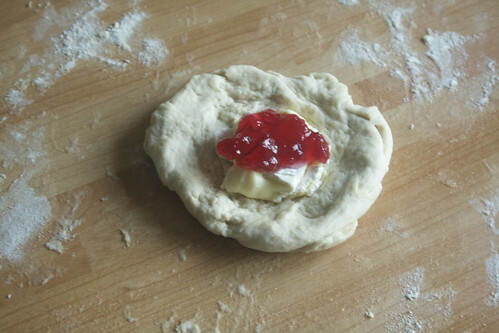 Squidge the cheese into the centre of the dough circle and add half a teaspoon of cranberry jam. 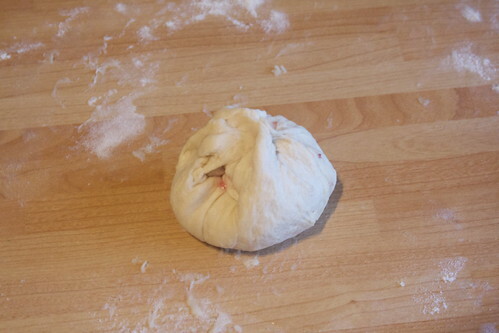 Pinch the corners of the dough up and together over the filling, twisting so you get a nice little parcel. 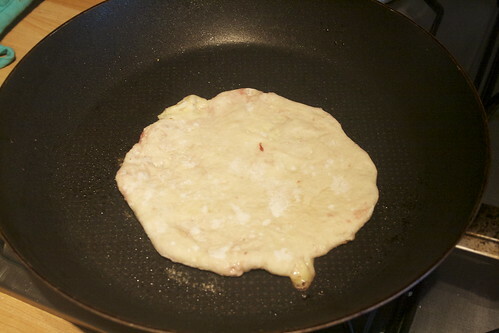 Heat a frying pan or heavy circular griddle pan and very lightly oil it. 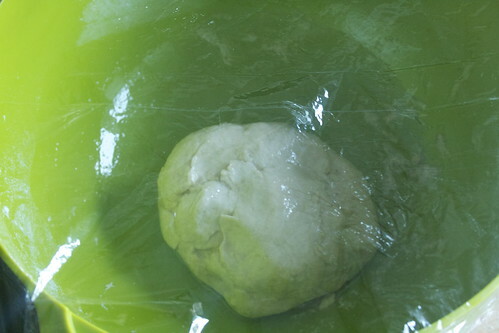 Roll this parcel out into a flatbread the size of your frying pan/heavy griddle pan, and drop the bread into the pan. After two minutes, flip it over. It should look a bit like this and will be gently puffed up. 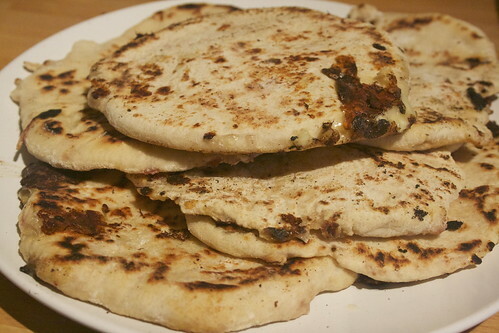 Repeat with the other dough balls until you have six beautiful, utterly delicious flatbreads. Break them in half to get gooey, oozey cheese and all kinds of deliciousness. Drizzle oil over your work surface and knead for 10 minutes. How many syns are these? They look awesome.